Solitary trunk which grows up to 30 ft (9.1 m) high, and 8 in (20.3 cm) in diameter. This unique palm has erect leaves, that grow in the form of a spiral. The leaves are fan-shaped and arise from the trunk, with almost no petiole (leaf stem). This gives the tree a "skirted" appearance, with the persistent older leaves forming its unique and characteristic "petticoat". 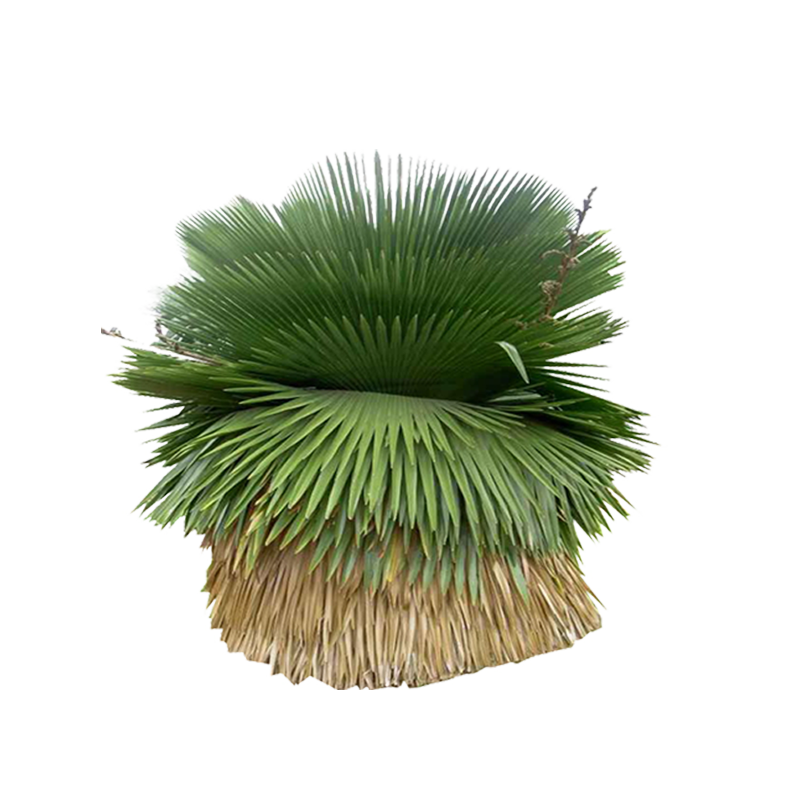 The foliage of the petticoat palm produces a canopy about 6-10 ft (1.8-3.1 m) in diameter. A protruding, vertical inflorescence appears in summer. This species of Copernicia is dioecious, Male and female flowers are borne on separate plants. The female plant bears oval black berries, 1 inch (2.5 cm) in diameter. Editing by edric.